Have you heard about amazing online shopping site Cocomelody? They are online fashion shopping site and they sell dresses for special occassions, like wedding, evening, prom, cocktail, homecoming and many more dresses at latest trends. In my country we don't acctualy have homecoming but I realy love how it look like on movies and on some youtube chanels. For homecoming it is realy important that you have dress which make you feel like a princess. 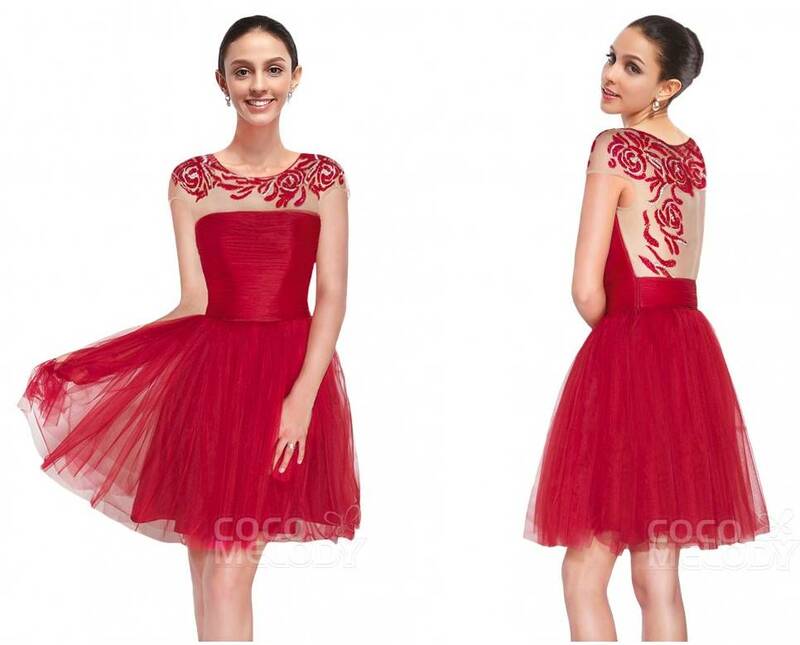 Well, have no worries because I've pulled together the most fantastic homecoming dresses 2015 from Cocomelody and they all look amazing and what is very important are with reasonable prices! If you wanna look and feel like you are on the red carpet you will love this one. Beautiful pastel colour but this sequins gives her a glamour look. If you prefer the bold colours like red, or if you are in the running for Homecoming Queen, then this dress may be perfect for you. You will feel and look amazing!